Free Bet Guide is your ultimate guide to finding online free bets! We have the most up to date Bookmakers Free Bet offers and freebet bonus codes. Compare Cheltenham free bets, free bets on the Grand National 2018, free football bets and often no deposit free bets! 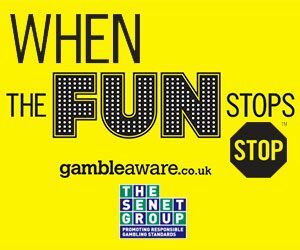 Unless otherwise specified, all of the free bet offers featured are for new customers only, have a minimum deposit requirement of £10 and free bet stake is not included in returns. Country and stake restrictions may apply. New customers only, limited to one per person. If you’ve previously had a Paddy Power account, you will not qualify for the offer. Place your FIRST bet on any Sportsbook market and if it loses we will refund your stake in CASH. Max refund for this offer is €10. Only deposits made using Cards or Paypal will qualify for this promotion. New customers only. Extra winnings paid in cash. Max stake £10. Neteller & Skrill excluded. Additional terms apply. William Hill online customers only. Min. unit stake of £10/€10 at odds of 1/2 or greater. Only the win part from EW bets will count. Free bet terms, payment method & country restrictions apply. Free bets credited as 3 x £10/€10. Free bet stakes are not returned as part of the settlement of successful free bets. All Free Bets must be wagered within 30 days. Read online bookmaker reviews from around the world and enjoy the best free bets available. Reviews are available on your mobile devices, whether it’s iPhone, iPad, android or windows.